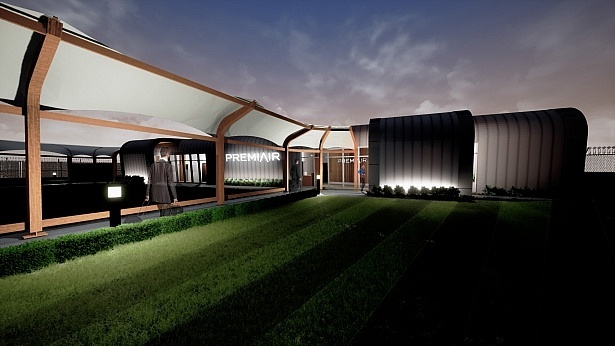 Passengers will soon be able to pay extra to use a new luxury terminal at Manchester Airport. It’s perhaps no surprise that Manchester Airport has decided passengers might be willing to pay to avoid the main airport. Manchester Terminal 3 was ranked the second worst in the UK by passengers in 2018. The airport has regularly been criticised for long waits at security, in particular. Four of the 30-plus airports and terminals passengers rated in our survey received just one star for queues at security – this included Manchester Terminal 1 and 3. Find out where you should fly from? See the full results of our best and worst UK airports. Construction has already started on the terminal, with draft designs showing a modern building with floor-to-ceiling windows overlooking the airfield. It plans to open in the summer. 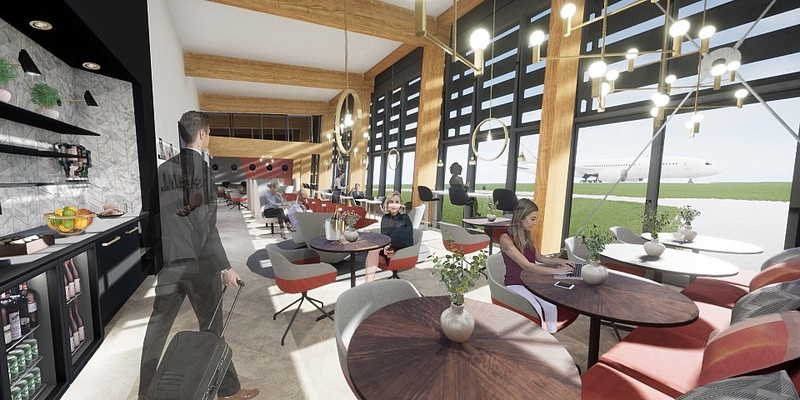 Bosses believe it will appeal to business travellers and honeymooners, although the facility will be available to passengers of all airlines and ticket classes. Andrew Harrison, CEO for Airport Services at Manchester Airports Group (MAG), claimed the new terminal was something ‘a large number of customers’ had been interested in for some time. Other PremiAir ticket perks include a personalised welcome, one-on-one security and free food and drink in the terminal. Until 2017, Manchester Airport had a target of getting 95% of passengers through security in less than eight minutes. It failed to meet this, so it then lowered the target. It now aims to get 92% of passengers through security within 15 minutes. Passengers have also criticised the queues to get back into the country. All three Manchester terminals were rated just two stars by passengers for queues at passport control. In comparison, all Heathrow terminals received either three or four stars on the same measure. One passenger summed it up when they told us that Manchester Airport, ‘is too small for the numbers it’s trying to handle’. The airport is currently undertaking a £1bn investment to increase its size and ‘modernise’ the experience. Airport fast track: is it worth it?